For two short minutes, the sun struggled to show its intensity, leaving the moon to darken the day-time sky. 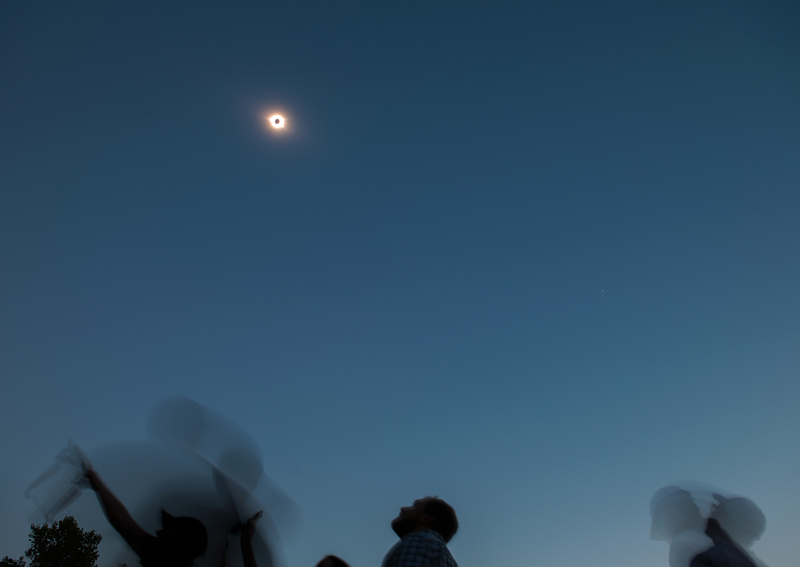 At the beginning of the period known as “totality”—when the moon completely covers the sun—a crowd of revelers cheered at a county park in Fountain Inn, South Carolina. Crickets in the brush nearby, tricked by nature’s façade, began to chirp incessantly. A plethora of photographers quickly adapted to the changing light conditions. And many of the eclipse goers were simply stunned. Roughly 800 people—some from several hours away—came to Cedar Falls Park, just outside of Greenville, on Monday to witness the solar spectacle. “We picked this park that no one knows about, and yet so many out of towners found it,” said Laura Hansen, 37, of Greenville. 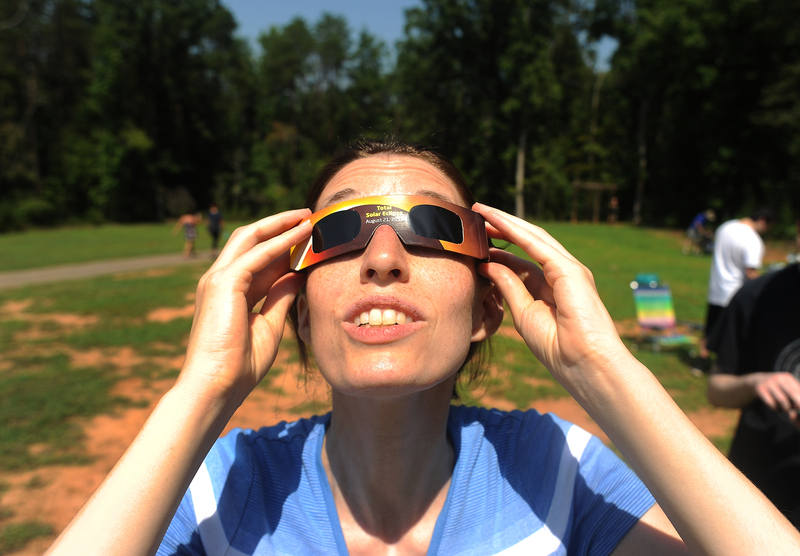 The park, managed by the Greenville County Recreation District, was the perfect place to experience the eclipse, according to Francisco Segui, a resident of Charlotte, N.C. He was specifically looking for somewhere a little more private, a little less commercialized. “We thought that nobody was going to be here, as other places were going to be crowded,” said Segui, who was one of the first to arrive at the park, nearly six hours before the eclipse began. While some watched from their lawn chairs, others brought along high-tech equipment to aid in observation. David Smith, 28, of Columbus, Ohio, generated a lot of excitement by bringing a Celestron telescope. 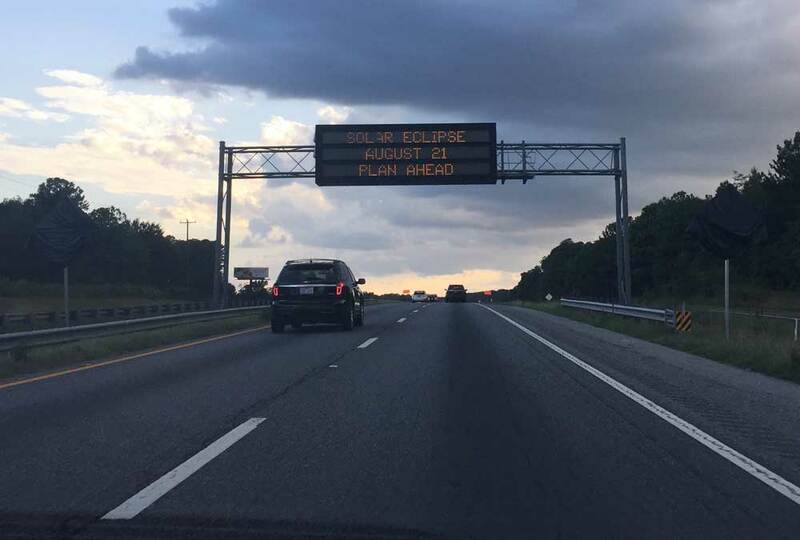 Monday’s total solar eclipse was visible to a 70-mile wide stretch of the contiguous United States—an event that had not occurred from coast to coast of the country since 1918. And Gabriel Lehman, 12, of Huntersville, N.C., was quick to point that out. “It’s pretty awesome because I know it hasn’t happened for like a hundred years,” he said. He noted the rarity of the experience contributed to the difficulty of finding safe glasses to watch the eclipse. Several stores in the Carolinas, which were charging about $15 to $20 per pair, were sold out. “Daddy had to do everything he could to find some glasses,” Lehman said, adding that he eventually purchased them from a seller on Facebook Marketplace. As if the total solar eclipse weren’t enough, attendees—stationed between Venus and Jupiter, both visible with the naked eye—were treated to an epic display of the solar system. “The excitement from everyone else kind of boosted the experience,” he said. Hansen shared that the sense of community she witnessed at the park on Monday was a bit surprising. 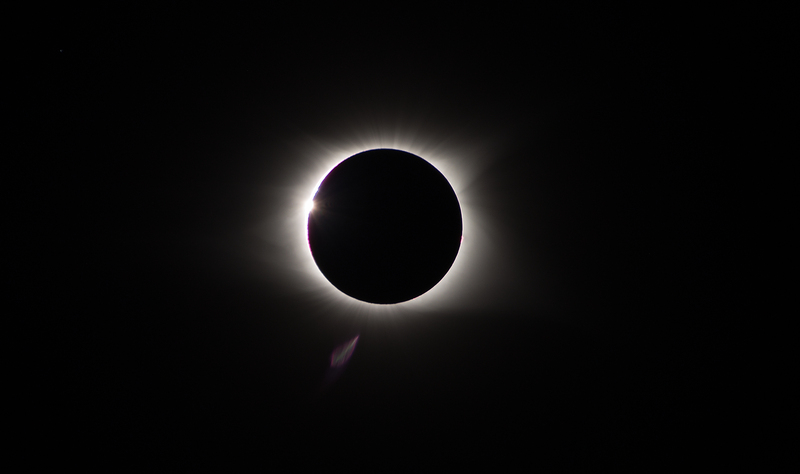 “The clapping, the cheering, the little kids wandering around to the telescope, the guy who gave away extra glasses—people from far away became friends,” said Hansen. The next total solar eclipse visible in the United States will occur in 2024, and Smith already has decided he wants to see that one too in person. 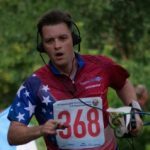 What an awesome experience and thanks for sharing! We only had about 90% here in Colorado but even that was pretty cool. Great job on the pics too, so cool!! Thanks. It was an incredible experience. I hope to see one again.